Why People Test Their Water? 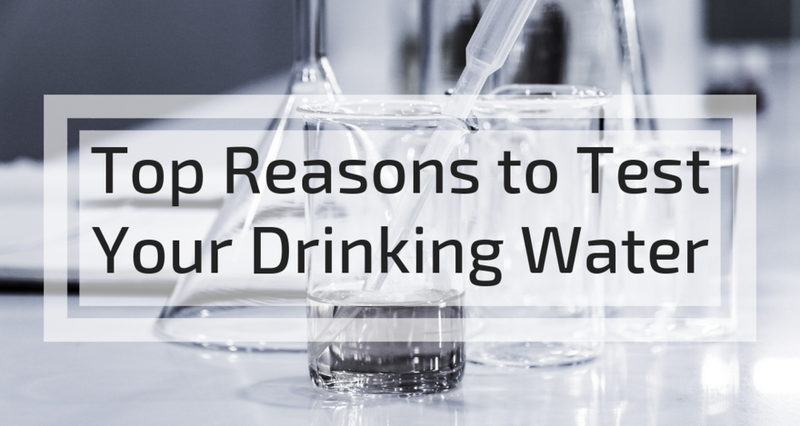 There are limitless reasons why people test their drinking water. Whether you want to find the cause of an unusual color or smell, to choose an appropriate water treatment system, or are simply curious about what flows from your tap–beginning the process can be daunting. There are a myriad of testing options across a range of price points, which can make you wonder: what’s the right choice? We, at Tap Score, are here to give you the inside scoop about when DIY kits are the right choice and when laboratory testing is the way to go. Once you’ve gathered some handy Tips for Taps, we still recommend that you investigate changes in your water quality. There are several different options when it comes to finding the source of the problem. There are both DIY kits and laboratory testing options. As you might have guessed, these two options have different capacities. DIY kits do not typically have detection limits as low as laboratory testing; they can usually provide an indicator of presence or absence as opposed to an accurate concentration at low levels. For yellow or brown water, a good first step is our Iron-oxidizing Bacteria DIY test. However, changes in water color can happen for a variety of other reasons, and laboratory testing may give you a more complete picture. Take a look at our Yellow Tap Water testing package. Whether it smells like rotten eggs or chlorine, odd smelling water is another instance where at-home testing may be a good first step. For Chlorine or Bleach-Like Smell: Chlorine Strips are a great way to get an idea of how much chlorine is in your water. Because laboratory testing for chlorine has specific preservation requirements due to its volatile nature, it can be quite expensive. Testing directly at the tap is a much more affordable route, that will give you a good sense of how much Total and Free Chlorine are in your water. For Rotten Egg Smell: Rotten egg smell is most often attributed to sulfur. Tap Score’s Hydrogen Sulfide Bacteria DIY test can help determine if this is the culprit. This is an instance of when we strongly recommend laboratory testing. Treatment systems come in a variety of shapes, sizes, and prices–and before you take the plunge, you should ask yourself: what problem needs treating? Because treatment systems can be targeted towards filtering specific contaminants, how do you know the right system to choose if you don’t know what’s actually in your water? Filtration units can set you back thousands of dollars (depending on the unit), so you want to be sure that you’re not paying for something you don’t need. Our Tap Score testing packages will give you a great sense of your overall water quality, allowing you to make an informed decision. With every water quality report, we provide a personalized and unbiased list of treatment options certified by NSF and WQA. From hurricanes to wildfires to floods–natural disasters can disrupt water quality for months. Immediate danger does not subside once fires are extinguished or flood levels recede. Contaminants can find their way into drinking water supplies–leading to a multitude of health and safety risks. Whether it’s mold, bacteria, or any other contaminant–this is a good time forlaboratory testing, as it will help keep you and your family safe. It’s no secret that american infrastructure is failing. In fact, the 2017 Infrastructure Report Card by the American Society of Civil Engineers (ASCE) granted U.S water infrastructure a measly “D” (on an A through F scale). This comprehensive assessment of the nation’s 16 major infrastructure categories evaluates their current state and indicates that the U.S. must invest approximately $3.6 trillion in overall infrastructure repairs and improvements by 2020 to reach acceptable standards. Unfortunately, there is no timetable for if this will happen. Additionally, if you live in a house built prior to 1986, laboratory testing is a wise investment. It is also important to note that lead is legal in many fixtures and pipes and even though the concentrations are lower post 1986, the water quality could lead to leaching. We, at Tap Score, recommend our Essential City Water test if you live in an older home or you are served by old infrastructure. Having a baby is an exciting time, but it brings with it a whole new set of safety concerns. Young children are considered the most vulnerable population group. Children typically drink more water per pound of body weight than adults. This leads greater exposure and subsequently, greater risk. Because their bodies are still developing, toxic chemicals cause more harm to growing tissue. A common concern for parents with a new baby is too much nitrate–leading to methemoglobinemia (also known as blue baby syndrome). If you have young children in your home, laboratory testing a sure-fire way to know if they are at risk. Read more on our post about Taps for Tots. With knowledge comes power–the power to make informed decisions and to help keep you safe. Laboratory testing is a great way to get a sense of your water’s overall chemistry. Many contaminants–such as lead and arsenic–may be lurking in your water that you can’t smell, taste or see. Home DIY kits and home test trips fall short. Our water testing packages can test for hundreds of contaminants that you didn’t even know were putting you at risk! Beware of the Free Lab Water test! If you are interested in water testing, we can’t emphasize enough that you should stay away from “free” water tests. Don’t be fooled–”free” water testing is a scam. Remember the adage, “if it seems too good to be true, it probably is.” If someone is offering you a free water test, be very suspicious, as it is highly likely that these are the same people trying to sell expensive (and perhaps unnecessary) water treatment products or bottled water subscription. Whether you want to investigate a change in water quality or if you are just curious about what flows from your tap–testing your water is the way to go. While some instance are suitable for testing at home (such as testing for chlorine), most of the time, laboratory testing is the smart choice. For more information about any of our laboratory test packages, send us a message at hello@simplewater.us and our team of chemists, engineers, and treatment experts will be standing by! Newer PostWhat’s the Black Gunk on My Fixtures? !